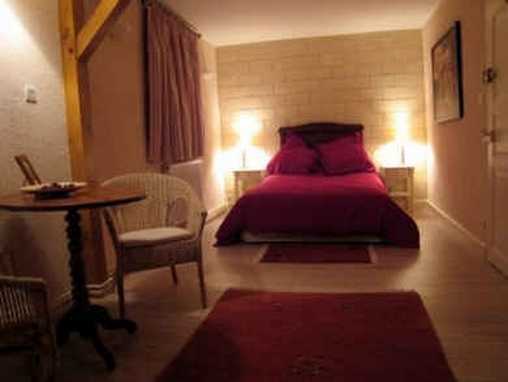 The Seraphins’ guest house is located at Walff, small village in the heart of the Alsace country. 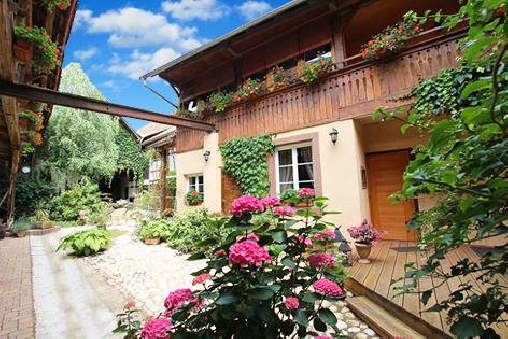 We will be delighted to welcome you in our renovated traditional Tobacco farm, ideally situated between Strasbourg and Colmar, on the Wines trail (route des vins), in the tobacco farms conutryside and of course the home of the 'choucroute' (sauerkraut with meat). 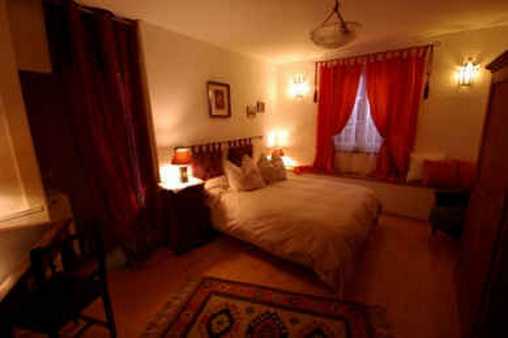 Three beautiful traditional en-suite bedrooms and one suite are available for you to enjoy for a jaunt or to spent a longer time visiting the Alsace country. 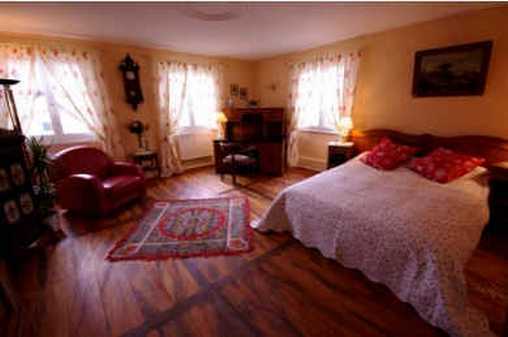 Eugénie bedroom : On ground floor, the ‘Eugenie” bedroom is a lovely double bedroom (150cm bed) with en-suite bathroom (shower) and toilets. 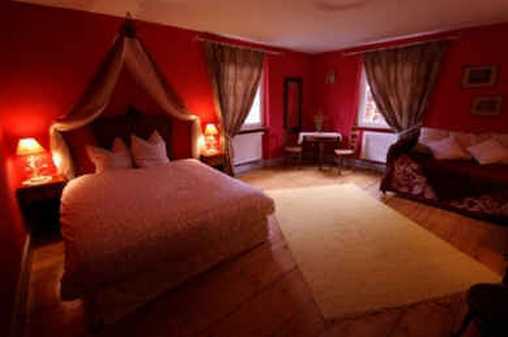 Blaise bedroom : First floor, the ‘Blaise” bedroom is a double bed room with double bed (160cm bed), with en-suite shower and toilets and will welcome you for restful nights with its original and beautiful antic wood flooring. Come and join us to share warmth moments around our guest table. 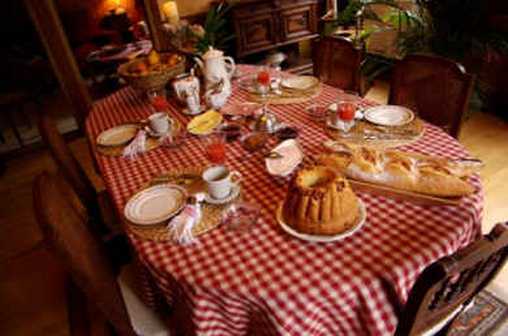 During the dinner, you will discover the Alsatian gastronomy or simply enjoy homemade dinners with fresh local products. 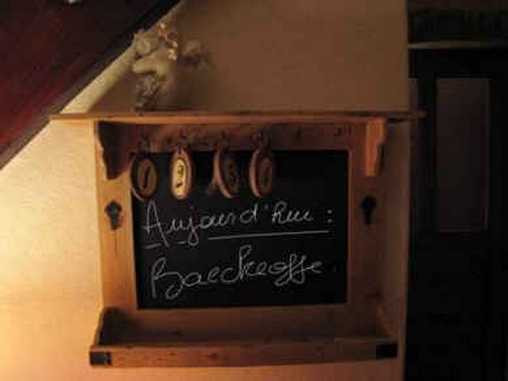 Click here to check the department’s weather forecast (Bas-Rhin). Temperature, rainfall, sunshine, wind, satellite image, etc.. Click here to learn about the features of this department’s climate. 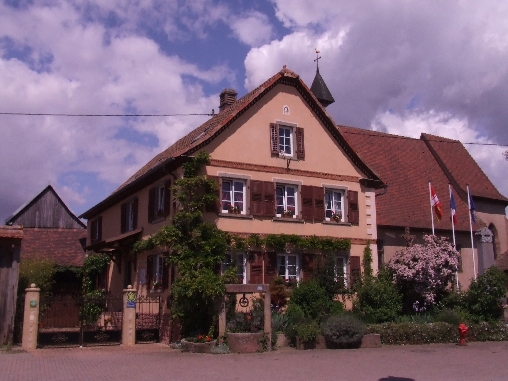 Ht Koenisbourg, Riquewihr, Mittelbergheim, Colmar, Château Du Haut-koenigsbourg, Mont Sainte-odile, Marchés De Noël, Fêtes Des Vendanges, Fêtes Du Vin, Ht Koenigsbourg, La Volerie Des Aigles, Mont Ste Odile, Kaysersberg, Route Des Vins, Bilbliotheque Humaniste, Chateaux Forts, Lignes Maginaux, Camps De La Derniere Guerre, ¨fêtes Des Vins, Rêve D'une Nuit D'été, Corso Fleurie, Montagne Des Singes, Hau-koenigsbourg, Mont St Odile, Cathédrale De Strasbourg, Fête De La Choucroute, Mariage De L'ami Fritz Marlenheim, Marché De Noel, ... etc.